We’ve been decluttering during July, as we started out with principles of organization, then we decluttered our homes and our home schools. This week, we’re going to take a peek at how to organize our personal lives. For me, a planning notebook, combined with my computer, is essential to keeping myself organized. I thought it might be fun to show you what’s inside each. I began using a planning notebook many years ago, when I first read Anne Ortlund’s book, The Disciplines of the Beautiful Woman. (Wow, still such a good book!) 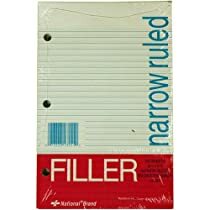 First written in the 1970s, she was one of the first authors to recommend a simple 3-ring binder with filler paper to organize a homemaker’s life. Today you can spend oodles of money on designer binders and refill paper, but I still think her inexpensive system is one of the best. 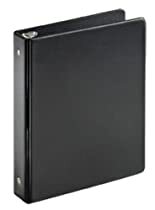 I use a leather binder with a snap and pockets for loose change and my pens, but for many years I just had a simple binder. Inside the front cover, you’ll find my favorite pen, a small stack of sticky notes, a prayer reminder from church each week, and a dog-eared copy of my daily schedule. My notebook itself is filled with inexpensive filler paper, dividers between sections, and some beautiful planner pages from Grace Works Planners. Quiet Time Journal pages from GraceWorks. There is a place to write down a verse I’m memorizing, the reference to the passage I’m reading, a key verse from the day’s passage, a place to journal about what God is teaching me, and a place to write down what I will do today to live this out in my life. 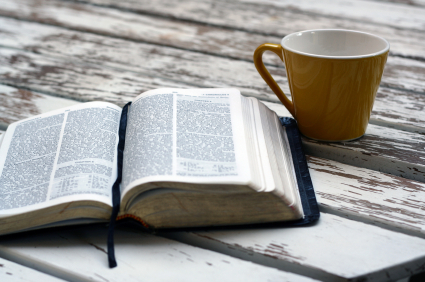 While I don’t always journal, it helps me be more consistent in my Bible reading when I do. Next I have goals for each year. Because these goal pages go back to before I was married, these are a very special trip down memory lane for me, as well as a wonderful way to see how God is continually working in my heart. I usually make new goals at the end of each year, using this template. Next I have prayer requests, which I usually update at church or in our morning family devotions. Behind these, I have miscellaneous pages, such as the qualifications for a deacon’s and pastor’s wife from 1 Timothy 3 and Titus 2. I have a page listing the books of the Bible that I’ve studied in depth (which will hopefully someday contain all 66 books), a list of goals for my marriage, verses for when I’m discouraged (which author Juanita Purcell calls her “Why Sink When You Can Swim” list), and a section of sermon notes. The second divider says “Kraig” (and he’s my sweet husband). First is a list of marriage reminders from the book, The Proper Care and Feeding of Husbands. Next is a list of notes taken from our last date night, so that I’ll remember some of the issues and prayer concerns that were special to my husband then. Because my husband is a pastor and a major way I can be a “suitable helper” to him is by helping him at church, the next section is full of notes and reminders about on-going church projects and prayer concerns. First is a list of “things to do” for my children, from service projects, games, a list of their toys, and things to do outside. This helps when they’re bored, I’m not, and none of us can think of anything. Next is a silly page of inventive spelling words and funny phrases I’ve caught my children using. Next is a page of possible unit study ideas for the future. Next is a page of each child’s love languages. The fourth divider says, “Home,” and I use it a lot. First is a page of jobs I do each week to prepare for our Sabbath, followed by a page of jobs I do to prepare for church each week. Both pages are quite dog-eared, since I frequently remove them from my notebook and hang them on my refrigerator for a few hours each week. Next is a Budget/Expense Log from Grace Works. I don’t write everything here (especially our recurring bills), but I do keep track of my grocery, clothing, gas, and cash expenditures in this spot, more as accountability to myself. Next I have blank menu planning pages from Grace Works. Usually I print my own menu page and hang it on the refrigerator, so these are more like a back-up plan in case I’m out with my notebook and come up with a great menu idea I want to use in the future. I have lots of other miscellaneous pages here, such as clothing sizes for family members, gift ideas, a section for my garden, furniture measurements, and a little zipper pouch with swatches from our furniture and paint chips. This section is filled with sticky notes and bits of ideas gathered at the oddest times (such during church, when driving, and in the bathroom). I have my goals for 2010, on which I notice have a long ways to go and it’s already July! I have plans for various curriculum we’re writing. I have ideas for future blog posts, even this one I’m writing today! Finally, I have plenty of blank filler paper, which helps cushion and protect my notebook pages and gives me lots of room for doodling brilliant ideas. Gmail, Google calendar, and Google documents are always open on my computer. My husband also uses these on his computer, and we’re synced together so that if he makes a note on his calendar, it automatically updates on mine as well. All my contacts (phone numbers, emails, addresses, and birthdays) are here, too, and these sync with our cell phones. If anything ever happened to Google…. Google Keep acts like a journal for me, and it’s quickly becoming indispensable. I can copy and paste snippets from websites and from all the other programs on my computer to create a reminder system that I can later search through to my heart’s content. I love it! Nozbe is my to-do list. I highly recommend it! Basecamp is a website where I keep all my dreams and goals for the future. Many lists here have turned into books, curriculum, and ministry materials. My husband and I share an account here as well, so that we can add to and refer to each other’s lists. 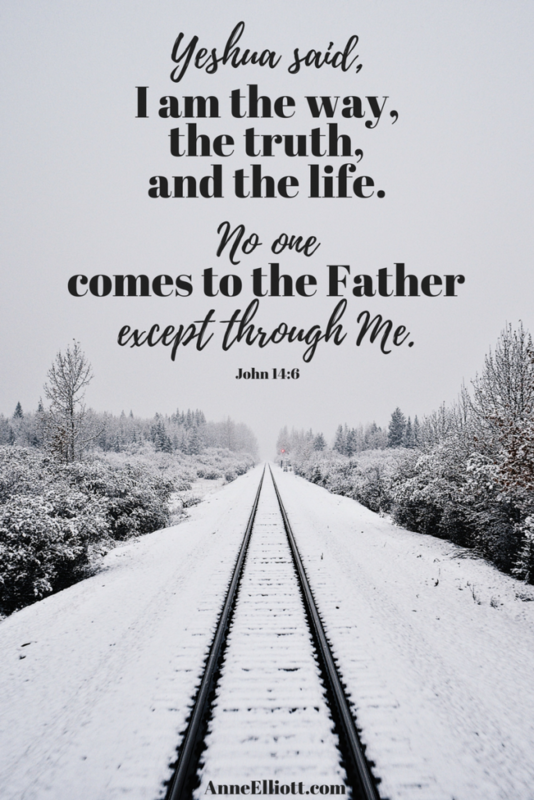 I do all my Bible study online (except for my morning devotions), so I have E-sword, Bible Gateway, and a prayer list open much of the time. Finally, I use Microsoft Excel for my budgeting, our scheduling, and much of my brainstorming. I suppose it was never intended for the way I use it, but it’s a valuable tool nonetheless. Well, I hope you enjoyed this peek into my life. I’d love if you’d share what you do, too. 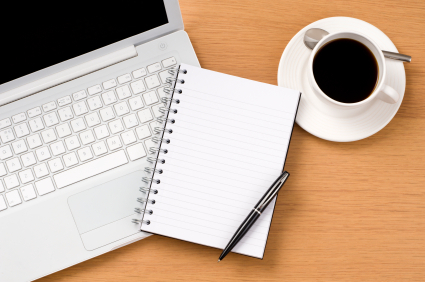 Write up a blog post or Facebook note, then send me a link! Love it! You’ve inspired me to revamp mine. Need to check out Grace Works. God has spoken to me though you. I have been thinking about doing this and I believe I NEED to do this. Thank you for writing what is on your heart and sharing with all. Many times I have been thinking about the same things and you might say it a certain way to make me understand or accept things better. Many blessings to you and your family. I pray your father-in-law gets well adn hubby comes back home. Thank you so much for the ideas! I had a binder before that I had my daily, weekly, monthly and yearly “chores”. Then I had coupons (which I never used) and other things in. I have not used it in so long. I really need to get organized again and this has inspired me to do so. Thanks again! Anne, I just wanted to let you know…..I have been trying to work on my binder. My husband actually gave me an idea and I tried it and it worked so I wanted to share it with you. I printed off your menu pages. Then I put contact paper on them. Now I can use a dry erase marker on it and re-use it. I printed off 4 so I can do a whole month (since my husband only gets paid monthly we try to shop once a month), but this way I can re-use them instead of throwing them away! I am going to try this with a calendar also for all of our appointments and due dates for his classes…..that way I can make the squares big enough to write in! Anne, thank you so much for your sweet words about our planning pages. How wonderful to hear that the Lord is using them to be a blessing! I developed a planning notebook based on Anne Ortlund’s suggestions. It was invaluable to me for many years. When I became an empty-nester, I gradually phased out that notebook. I no longer needed school schedules and youth group information. Filler paper and dividers of that size became hard to find, and I got tired of toting the notebook around. I now use a pocket-size appointment book that fits easily into my purse. All contact information is stored on my BlackBerry. In a fit of inspiration, I catalogued all my books, DVD’s, and CD’s onto Excel spreadsheets. I also have a spreadsheet of my knitting needles, with a copy tucked into my knitting bag. Now, when I’m buying yarn for a project, I can immediately check the list to see if I have the correct size needles at home. My new, streamlined method of organization is still a work in progress. I recently threw out years’ worth of magazine articles and newspaper clippings; things I’d saved to re-read or craft projects I might like to do. It suddenly seemed like too much clutter. 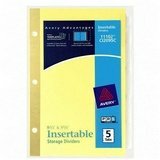 I bought a file box at Office Depot and labeled dividers for appliance warranties, computer, cell phone, insurance, receipts, vet, IRS, and more. Anything that wasn’t absolutely necessary got tossed or shredded. I also regularly pare down my collection of books and DVD’s. Anything I don’t want to read or watch again is donated to the public library for their annual sale. I purchased two small baskets from the dollar store. One is for things that need to be filed and receipts from shopping trips, in case I need to return something. The other is for my daughter. She rarely gets mail or phone messages here, but if she does it goes into the basket. Anything I need to give her, or books and movies she wants to borrow are placed in her basket. She knows to check it every time she comes over. These are just a few ways I’ve gotten better organized. Just don’t check the closet in my bedroom. I’m new to notebooking I’d to see & hear more. Are you on Youtube? Wow! What another great find in your web/blog! The first was finding Anne Ortlund’s book Disciplines of the Beauttiful Woman at the Goodwill. A treasure for sure and I love that it was written in the 70’s but is still so timely for women today. LOVE HER! Wanted to see if she had a notebook and found this!! You are brilliant Thanks so very much. Nice to meet someone who is inspired by her book today. For those having trouble finding supplies in size 8 1/2 by 5 1/2 (or “mini” as it is sometimes called), try your local Walmart. The one here carries everything but the mini calendar pages. (Binder, dividers, page protectors and filler paper.) Staples is said to carry everything including the calendar pages but there isn’t one here. I used to find filler paper in this size at Office Depot, but now that they’ve merged with Office Max they don’t stock it in the store. It can be special ordered however. Rather frustrating that they carry the binders but not the paper that fits them. http://www.avery.com has the mini calendar pages but shipping would likely cost more than the item, unless you have a large order. Amazon has them but as an “add-on” which seems to mean your order must total a certain amount before you can buy them. Someone on another blog solved the problem of a calendar to fit the mini binders. She purchased a spiral bound daily planner in that size, removed the wire, and hole-punched the pages so they fit in her binder. That’s probably what I’ll do as soon as the 2016 ones come out. Anne Ortlund died a couple of years ago but her book, “Disciplines of the Beautiful Woman” is still in print. I found that my rectangular pocket calendar from the Dollar Tree fits perfectly inside the front pocket, SIDEWAYS, held open to current month w/paper clip. I can quickly jot dates in the calendar while opened to my Daily to-do page. Now that my father is in the early stage of dementia, I must keep track of his medical appointments, physician phone numbers, and various account numbers. I thought of maintaining a separate calendar for him but it proved easier to put everything on my own calendar using red ink. I use black or blue ink for myself. Everything is in one place and I don’t have to switch back and forth between his calendar and mine.